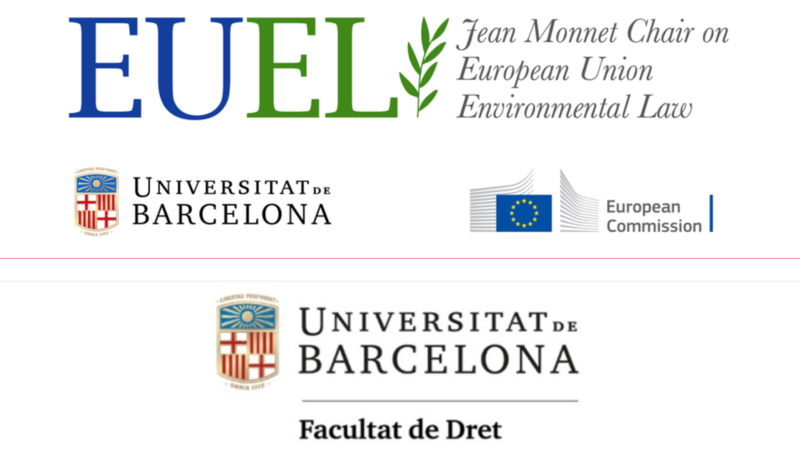 On Wednesday the 24th of October 2018 (16-18h) the Jean Monnet Chair of EU Environmental Law of the Law Faculty of the University of Barcelona will be organizing a session will be organizing a session entitled”Past, present and future of environmental rights”. 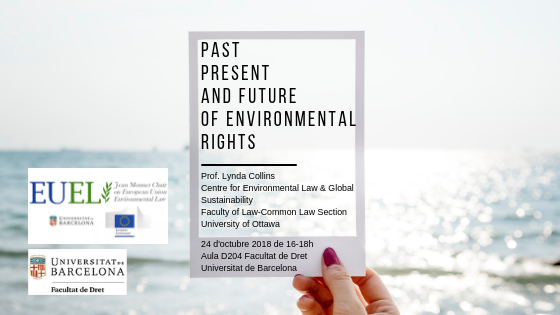 Our guest speaker will be Prof. Lynda Collins from the University of Ottawa. Those who wish to participate on the seminar shall fulfill the questionaire that you will find by clicking the register image bellow.